If you're hiring a moving company and you need to move the kitchen appliances such as a stove, fridge, dishwasher, and washer and dryer, they'll insist that these major appliances are prepared before the movers arrive on moving day. Most movers offer a professional service that will prepare major appliances for you for an extra moving fee. While it may seem pretty simple to prepare your appliances for moving, if it isn't done correctly, you may find units not working when they arrive at the new destination. 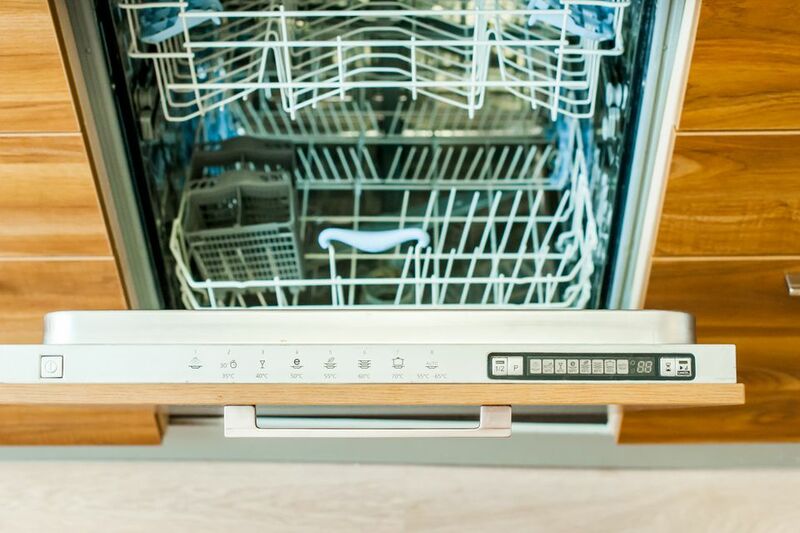 If you decide to prepare your major appliances yourself, follow this step-by-step guide so they're ready to go when you are. For all major appliances, contact the dealer for specific move instructions or refer to the owner's manual if you have a copy. If you don't have a copy of the moving instructions, go to Appliance411.com, a great place to find or order an owner's manual. The refrigerator should be unplugged at least 24 hours prior to the move. Dispose of all perishables and make sure you clean it well. Once the freezer unit has defrosted, thoroughly clean and dry all surfaces and removable containers to prevent mildew and odors from forming. Remove all racks or secure them so they don't shift during the move. If your unit has an ice maker, disconnect the water line and make sure it's completely drained. The stove should be thoroughly cleaned inside and out with the racks removed or securely fastened. If you have a gas stove, make sure the gas is turned off before you start disconnecting the line and be very careful. Gas lines can be fragile and need special handling. If you're unsure, call your gas company and ask for help. You may want to consult your gas company or the place where you purchased the stove to find out if it's okay for you to move it on your own without a professional. Tape down the knobs and elements to ensure no parts are lost during the move. Dishwasher units need to be emptied and the utensil holder/rack removed and packed separately. It's a good idea to clean the unit if needed. Run a cycle then let the unit dry before you tape the door closed. Washer and dryer units need special handling. It's a good idea to consult the owner's manual or contact the manufacturer before you disconnect and start preparing for your move. Remove all hoses and pack separately in a box or place them in the washer or driver cavity for safe keeping. For the washer, you'll need to secure the drum so there isn't any damage during the move. Again, consult the manual for thorough instructions or ask a professional for help. For all appliances, unplug each unit and secure the plug to the back using packing tape. Don't let cords dangle or come loose. For all appliances, if you choose, pack lightweight, unbreakable items in empty caverns, such as in the refrigerator crisper or the oven. Blankets, pillows, stuffed animals, chair cushions or clothing can be stored and moved this way. Simply protect the items by wrapping them in a plastic garbage bag before you use them to stuff into empty spaces. Make sure all doors, cords, extra nuts or screws are taped and secured before moving.